beer | what would henry do? 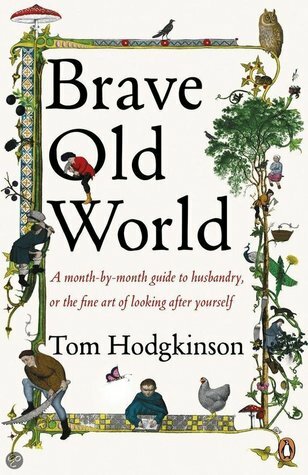 I just learnt that my main man Tom Hodgkinson is out with a new book that contains the enticing subtitle, “A month-by-month guide to husbandry, or the fine art of looking after yourself. ” And yes, it’s on the way from the UK. Tom is one of my favorite authors because he champions a philosophical, merry life, well-lived. And he champions naps, beer-drinking, and playing the ukulele, all of which I’m moderately good at. I also wrote about a few of these pursuits here. His books, How To Be Idle, How To Be Free, and The Idle Parent are all mainstays of my book collection, although I don’t know where any of them are because I’ve lent them all out. I biked to work and back today, 20 miles round-trip. My standard garb: some long underwear from Reny’s under a few old T-shirts, bike shots bought at Goodwill, beat-up brown suede slip-on comfort mocs from LL Bean. It looks like I’m biking in slippers. Oh, and my helmet. Nothing fancy. I dream sometimes of quitting my job, selling my car, and biking everywhere. It feels so good not to consume. My new fantasy is to bike to my job at the brewery and then peddle home with a fresh sixer tucked under my arm. What is the point of labor if it does not create more leisure time for us? Yet with all our supposed labor-saving devices, we work more, not less. Let me be clear. I am for more leisure, not less. This could be my platform if I ever ran for office. I admit it; I am a curmudgeon for leisure. And what is leisure after all but the means by which we pamper our higher selves? Everyone keeps telling us we live in the “richest country in the world.” Then why do we feel so poor? Not just financially, but spiritually as well. Why? Because for all our hard work, and Americans do work very hard, we haven’t allowed ourselves the luxury of true leisure. There is quite a bit of manufactured leisure, to be sure. But true leisure can only occur when nothing is happening and no demands are being placed upon us. Our hard work should be creating the space we need to be free of work, at least for a little while. Is 48 hours on the week-end too much to ask? Do I have to work then, too? Tom Hodgkinson wrote a fantastic book, How To Be Idle, that is a must-read for all leisure-seekers and idlers. Except for his chapters on smoking and fishing, the book is a brilliant manifesto for doing nothing. Think about it: what do we do when we’ve worked all week and the weekend comes, the traditional time for leisure? We work. And work. And work. We hammer, paint, saw, mow, weed, and dig until we drop. What about the hammock out back under the tree? No time. The pool? Can’t use it until the pool guy comes and cleans it. And even when it’s clean, it’s too much work to take the cover off. It looks pretty, though. Read a good book lately? Painted a picture? Written a poem? Started a blog? (It’s easy. Anyone with a computer and a bottle of Zinfandel can do it.) No, you say? Too busy building your deck? So that once it’s finally finished, then you can finally relax? The home improvement industry (Home Depot, Lowe’s, Ultimate Makeover Home Edition, etc.) has drilled it into our heads (pun intended) that no matter how hard we work, it’s not enough. Keep working, they say, even when we’re supposed to be done working. Keep…..improving. Men! Take that list of twenty “honey do” items your wife just gave you and march down to the hardware store! In the words of Jack Bauer, “Do it now!” I suppose that all of this work is designed to keep us out of trouble (read: beer drinking), but I think a home should be just enough to keep us dry when it rains and warm when it snows. Thoreau’s cabin comes to mind. Thoreau built his house small on purpose: he had too much living to do otherwise. His was just enough house. Everyone in my neighborhood is always working on their house, working on their lawn, working on their boat, working on their flowerbed. When do they ever work on them Selves? I feel their judging looks boring into the back of my skull as I drive away with my family on a sunny Saturday morning and don’t return until late Sunday night. “He should have mowed his lawn first,” they say to themselves. “He should have painted his porch and trimmed his maple tree, the one whose branches are hanging just a little bit into my lawn, the jerk! Who does he think he is, taking it easy on the weekends?” I keep telling my wife that the next house we buy should be a condo. If a man admits that he’d rather read a book than mow his lawn, people look at him like he has two heads. There may be people out there who actually take joy in gardening and deck-building. If they can really find inner peace through these exertions, then god bless them. As for the rest of us, enjoying a cold drink and a good book while the porch rots works just as well.